Sonic (SONC) and Inspire Brands announced that they have entered into a definitive merger agreement under which Inspire will acquire Sonic for $43.50 per share in cash in a transaction valued at approximately $2.3B including the assumption of Sonic’s net debt. Inspire is a multi-brand restaurant company whose portfolio includes more than 4,700 Arby’s, Buffalo Wild Wings, and Rusty Taco locations worldwide. Following the completion of the transaction, Sonic will be a privately-held subsidiary of Inspire and will continue to be operated as an independent brand. The agreement, which has been unanimously approved by Sonic’s board, represents a premium of approximately 19% per share to Sonic’s closing stock price on September 24, 2018 and a premium of approximately 21% to Sonic’s 30-day volume-weighted average price. Barrick Gold (ABX) announced that it has reached agreement on the terms of a recommended share-for-share merger of Barrick and Randgold Resources Limited (GOLD). 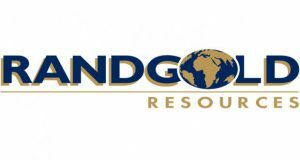 It is intended that the merger will be implemented by means of a court-sanctioned scheme of arrangement of Randgold Resources and the Randgold shareholders under Article 125 of the companies Law 1991, with the entire issued and to be issued share capital of Randgold being acquired by Barrick. Under the terms of the merger, each Randgold shareholder will receive 6.1280 new Barrick shares for each Randgold share. Following completion of the merger, Barrick shareholders will own approximately 66.6% and Randgold shareholders will own approximately 33.4% of the new Barrick Group on a fully-diluted basis. The merger is expected to close by Q1 2019. Following completion of the merger: John Thornton, Executive Chairman of Barrick, will become Executive Chairman of the New Barrick Group; Mark Bristow, Chief Executive Officer of Randgold, will become President and Chief Executive Officer of the new Barrick Group; Graham Shuttleworth, Finance Director and Chief Financial Officer of Randgold, will become Senior Executive Vice President and Chief Financial Officer of the new Barrick Group; Kevin Thomson, Senior Executive Vice President, Strategic Matters of Barrick, will become Senior Executive Vice President, Strategic Matters of the new Barrick Group; Two-thirds of the directors of the board of the new Barrick Group will be nominated by Barrick, and one-third will be nominated by Randgold. Shares of Under Armour (UA, UAA) are rising after the company provided an update on its restructuring plan and announced a roughly 3% cut to its workforce. On Thursday, Under Armour announced an update to its 2018 restructuring plan and an approximately 3% cut to its global workforce. Previously, the company expected to incur total estimated pre-tax restructuring and related charges of roughly $190M-$210M in connection with the plan but, following further evaluation, the company identified about $10M of cash severance charges related to the workforce reduction. Accordingly, the company now expects approximately $200M-$220M of pre-tax restructuring and related charges to be incurred in 2018. The reduction in workforce is expected to be completed by March 31, 2019 and represents the final component to the 2018 restructuring plan. “In our relentless pursuit of running a more operationally excellent company, we continue to make difficult decisions to ensure we are best positioned to succeed,” said Under Armour Chief Financial Officer David Bergman. Based on the operational efficiencies driven by the plan, the company now expects operating loss is to be approximately $60M versus the previous range of $50M-$60M. Excluding the impact of the restructuring plan, adjusted operating income is now expected to be $140M-$160M versus the prior expectation of $130M-$160M. Excluding the impact of the restructuring efforts, adjusted earnings per share is now expected to be in the range of 16c-19c versus the previously expected range of 14c-19c. This compares to analyst estimates of 12c. Last year, Under Armour approved a restructuring plan to better align its financial resources to support the company’s efforts as the consumer landscape shifts. As part of the plan, Under Armour said it was cutting about 2% of its global workforce of 15,000 and streamlining “all aspects” of the organization to improve business operations. Powell noted that Nike (NKE) brand sales grew in the very low singles on strong lifestyle results, Adidas (ADDYY) sales grew “only in the low singles digits,” Skechers (SKX) athletic improved “in the low singles” and Under Armour footwear “declined more than 25%” last month. 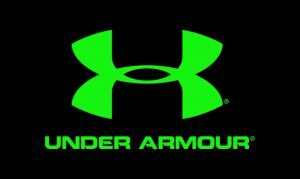 Class A Under Armour shares rose 4.4% to $19.58 in morning trading. Shares of several retailers and online personal shopping services are slipping in afternoon trading after CNBC reported that Amazon (AMZN) is testing a new on-site recommendation service known as Scout. CNBC reported that Amazon is testing a new service called Scout, a shopping site for consumers who don’t know specifically what they want to buy but are willing to take some automated recommendations. Scout asks shoppers to like or dislike a product and responds by showing other products based on user responses, according to CNBC. Scout is currently available for home furniture, kitchen and dining products, women’s shoes, home decor, patio furniture, lighting and bedding, with more categories coming soon. The CNBC report noted that Amazon is utilizing machine learning technology to address one of the major criticisms of its service, namely that it’s a great place to buy things but not a great place to browse. While Amazon is easily the biggest U.S. e-commerce company, e-retailers such as Stitch Fix (SFIX) and Walmart’s (WMT) Bonobos provide a more personalized experience and have given social media services such as Instagram (FB) and Pinterest more room to use their large collections of data in turning their networks into fledgling commerce sites, CNBC said. Following the news, Wayfair (W) slipped 4.3%, Williams-Sonoma (WSM) fell 1.9%, Stitch Fix dropped nearly 9%, and Steven Madden (SHOO) slid 1.3%. Meanwhile, Amazon (AMZN) shares are 1.5% lower in Wednesday afternoon trading. Shares of General Mills (GIS) sunk in late morning trading after the company reported quarterly results, including net sales for its North America Retail segment that fell 2% from the year-ago period. General Mills reported first quarter adjusted earnings per share of 71c, beating analysts’ consensus estimates of 63c, while sales of $4.1B were essentially in line with the consensus forecast. However, the company said net sales in North America, its biggest region, fell 2% to $2.39B, with net sales down 4% in U.S. Snacks and down 2% each in U.S. Meals & Baking and U.S. Yogurt. General Mills said its pet-food division reported sales of $343.4M, up 14% on a pro forma basis. General Mills acquired Blue Buffalo earlier this year for $8B, and said its net interest expense was $134M in the quarter, primarily driven by financing related to the acquisition. 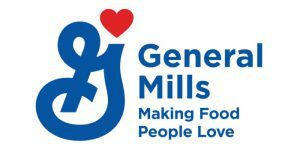 Looking ahead, General Mills reaffirmed fiscal 2019 targets, including adjusted EPS flat to down 3% from the base $3.11 earned in fiscal 2018, organic net sales flat to up 1%, net sales up 9%-10% including the impact of the Blue Buffalo deal and constant currency adjusted operating profit up 6%-9% from the base of $2.6B reported in FY18. General Mills expects double-digit top and bottom-line growth for the Blue Buffalo business this year, excluding acquisition-related charges. 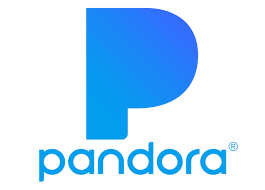 On its quarterly earnings conference call, CFO Donal Mulligan said he expects price/mix to improve as the year unfolds, and that operating margins will be down “somewhat” for the year. He also thinks there will be “a little bit more pressure” on gross margin from where the company originally expected. For the year, General Mills expects input cost inflation will be 5% of cost of goods, one point above FY18 levels. Peers trading lower on Tuesday include Kraft Heinz (KHC), Campbell Soup (CPB) and J.M. Smucker (SJM). Renesas Electronics (RNECY) and Integrated Device Technology (IDTI) announced they have signed a definitive agreement under which Renesas will acquire IDT for $49.00 per share in an all-cash transaction representing an equity value of approximately $6.7B. 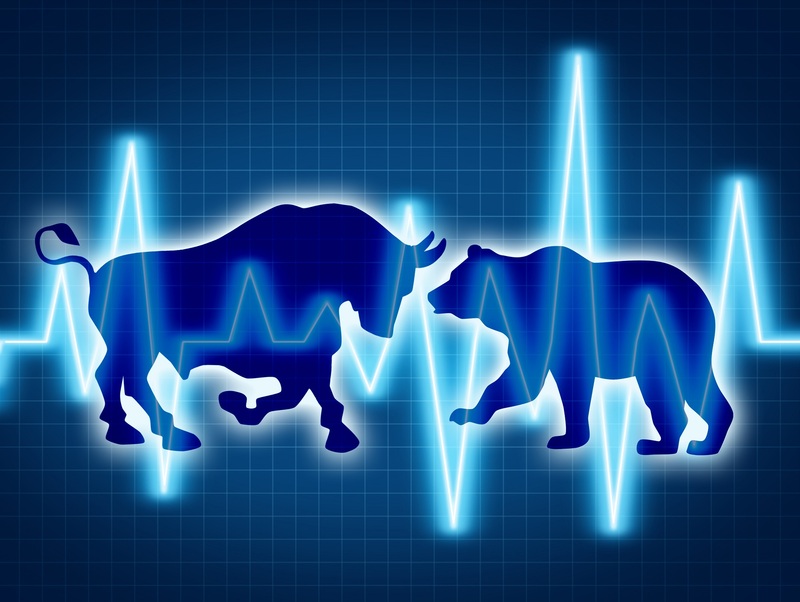 The stock closed yesterday down 58c to $42.08. Closing of the transaction is expected to occur in the first half of 2019, following approvals by IDT shareholders and the relevant regulatory authorities. Renesas anticipates near- and long-term revenue growth from “expanded opportunities and access to fast-growing industries, and cost savings from a greater scale business platform to bring innovation and improvements” with an expected financial impact of approximately over $250M. The transaction is expected to be accretive to Renesas’ non-GAAP gross margin and non-GAAP earnings per share by approximately 1.6%pts and 18%, respectively, immediately after closing. SAIC (SAIC) and Engility Holdings (EGL) announced that they have entered into a definitive agreement under which SAIC will acquire Engility in an all-stock transaction valued at $2.5B, $2.25B net of the present value of tax assets, creating the second largest independent technology integrator in government services with $6.5B of pro-forma last 12 months’ revenue. The transaction will create market sub-segment scale in strategic business areas of national interest, such as defense, federal civilian agencies, intelligence, and space. In addition, it expands the capabilities of both companies, bringing additional systems engineering, mission, and IT capabilities to a broader base of customers. Under the terms of the merger agreement, Engility stockholders will receive a fixed exchange ratio of 0.450 shares of SAIC common stock for each share of Engility stock in an all-stock transaction. Based on an SAIC per share closing price of $89.86 on September 7, 2018, the transaction is valued at $40.44 per share of Engility common stock or $2.5B in the aggregate, including the repayment of $900M in Engility’s debt. SAIC has obtained a financing commitment letter from Citigroup Global Markets Inc. for a new seven-year senior secured $1.05B term loan facility under our existing credit agreement. The proceeds will be used to repay Engility’s existing debt and associated fees. SAIC expects no immediate change to its quarterly cash dividend as a result of this transaction. The transaction is expected to close by the end of the fiscal fourth quarter ending February 1, 2019, following customary closing conditions, including regulatory and SAIC and Engility shareholder approvals. The transaction has been unanimously approved by both boards. The businesses will continue to operate separately until the transaction closes. 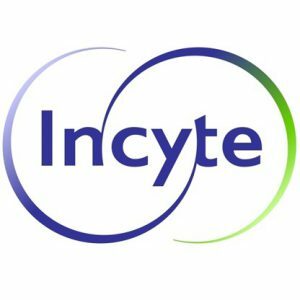 The combined company will retain the SAIC name and continue to be headquartered in Reston, Virginia. Following closing, Tony Moraco will continue as CEO and as an SAIC board member. SAIC will expand its board to include two additional members from Engility’s board. Transocean (RIG) and Ocean Rig UDW Inc. (ORIG) announced that they have entered into a definitive merger agreement under which Transocean will acquire Ocean Rig in a cash and stock transaction valued at approximately $2.7B, inclusive of Ocean Rig’s net debt.. This represents a 20.4% premium to Ocean Rig’s ten-day volume weighted average share price. Transocean intends to fund the cash portion of the transaction consideration through a combination of cash on hand and fully committed financing provided by Citi. The merger is not subject to any financing condition. Upon completion of the merger, Transocean’s and Ocean Rig’s shareholders will own approximately 79% and approximately 21%, respectively, of the combined company. No changes to Transocean’s board of directors, executive management team, or corporate structure are anticipated as a result of the acquisition. The Company will remain headquartered in Steinhausen, Switzerland, with significant operating presence in Houston, Texas, Aberdeen, Scotland and Stavanger, Norway. The merger is not subject to any financing condition. 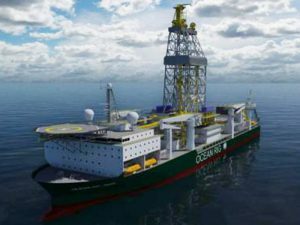 Also, consistent with the Company’s strategy of recycling less competitive rigs, Transocean will retire two of its floaters, the ultra-deepwater drillship C.R. Luigs and the midwater floater Songa Delta. The rigs will be classified as held for sale and will be recycled in an environmentally responsible manner. Both floaters are currently stacked.